Part of Scienceworks $6 million upgrade is the installation of a new permanent exhibition Ground Up: Building Big Ideas, Together. 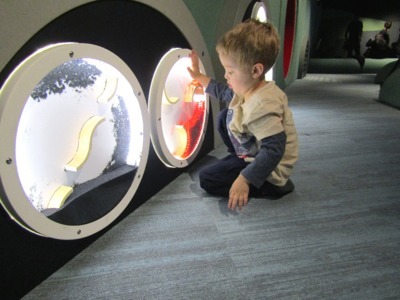 This new tactile gallery space is designed for the 0-5 year-olds and is a sensory play exhibit designed around teaching STEM (science, technology, engineering and mathematics) disciplines. Whilst Ground Up: Building Big Ideas, Together sort of replaces the previous "Nitty Gritty Super City" exhibition at Scienceworks, it is not positioned upstairs but is instead found on the ground floor immediately to the right as you walk in. In some ways this new exhibition is not dissimilar to the Pauline Gandel Children's Gallery at Melbourne Museum, but this space is smaller and darker. That isn't necessarily a negative statement because there is plenty of lighting used in the exhibition to entice little minds. Parents of little children also find the smaller space means less chance to lose kids who are quick on their feet! There is a lot for little people to explore in Ground Up: Building Big Ideas, Together at Scienceworks. The Baby Landscape features soft climbing mounts, and spinners to play with. The Tinkering Zone aimed at the toddlers to 3 year olds includes a brilliant light up switch wall with 1,3,76 light switches to turn off and on! 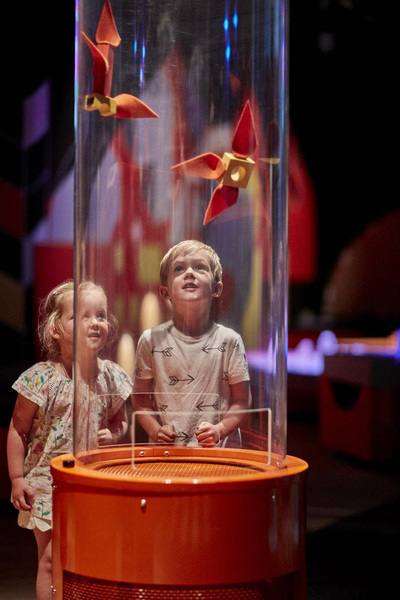 The Fight Tubes are a winner here, where children can create their own bird-like gadgets, which are placed into large wind tubes to watch them fly. The Foundation Coding and light changing block building activities encourages construction, sequencing and pattern making. 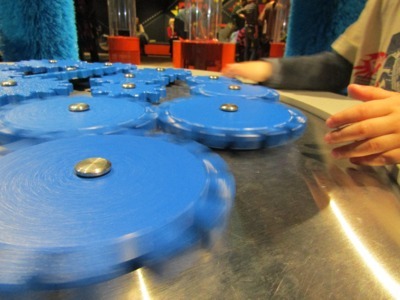 Lastly the Collaborative Zone designed for the 3-5 year-olds has a fun Car Wash style installation with cogs to join together and spin. If you're missing the foam block building challenges previously seen in the Nitty Gritty Super City, there is a brand new build activity in the new space, based on this activity. 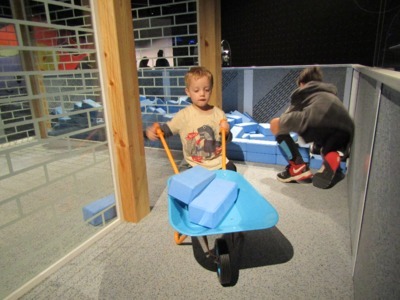 Here, children are encouraged to build and use conveyor belts, pulley systems & wheelbarrows to manoeuvre foam blue blocks. 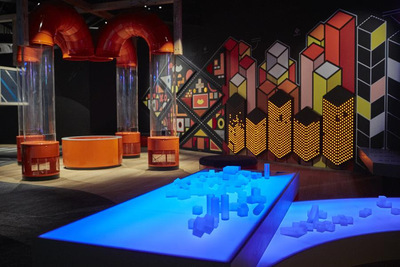 Ground Up: Building Big Ideas, Together at Scienceworks is a fantastic exhibition for the little kids of Melbourne.